Ah, water. That elixir of life. That timeless tonic. That pristine refreshment in a sea of sugary substitutes. Such a perfect substance calls for a worthy vessel to drink it in. This one is a generous 32 oz. 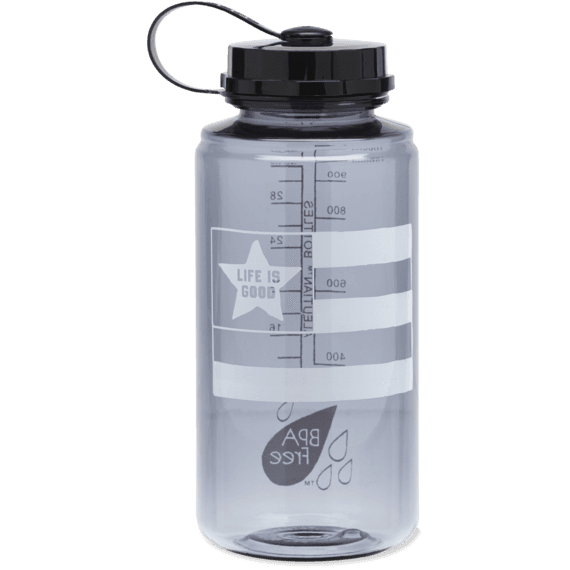 and free of BPA with better resistance to cracking or hazing and an attached loop cover.